Klein Tools MM700 is an automatically ranging true root mean squared (TRMS) digital multimeter that measures AC/DC voltage, AC/DC current, and resistance. It can also measure temperature, capacitance, frequency, duty-cycle, diodes and continuity. 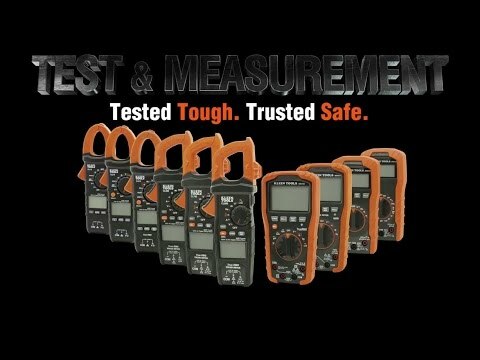 Klein Tools’ Test and Measurement product line was exclusively designed from the ground up by electricians for electricians. Years of field research, combined with extensive input from electricians across America, inspired the development of meters and electrical testers loaded with innovative, time-saving features. Do not attempt to measure resistance or continuity on live circuits. Do not use the meter during electrical storms or in wet weather, and do not use the meter or test leads if they appear to be damaged. Before each use verify meter operation by measuring a known voltage or current.